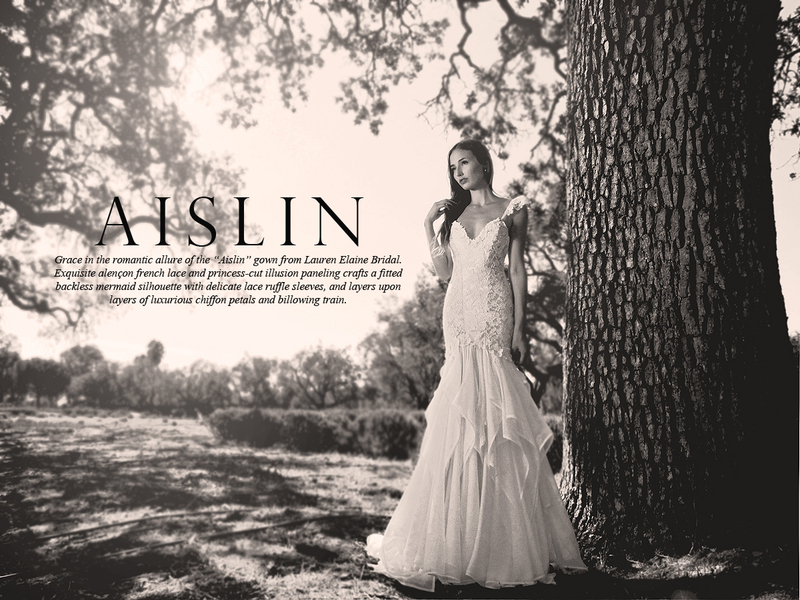 Grace in the romantic allure of the “Aislin” gown from Lauren Elaine Bridal. Exquisite alençon french lace and princess-cut illusion paneling crafts a fitted backless mermaid silhouette with delicate lace ruffle sleeves, and layers upon layers of luxurious chiffon petals and billowing train. Shop AISLIN here.